We are dedicated to inspiring people of all ages to better understand the natural world and our place in it, by instilling a sense of wonder and responsibility through exhibitions, programs, and online resources. Family Workshop, April 20: Dino-fy Yourself! Create prehistoric animal costumes, wearable art, and accessories informed and inspired by the animals that will be featured in the new Fossil Hall, which opens this summer. This program is designed for ages 8 and up. 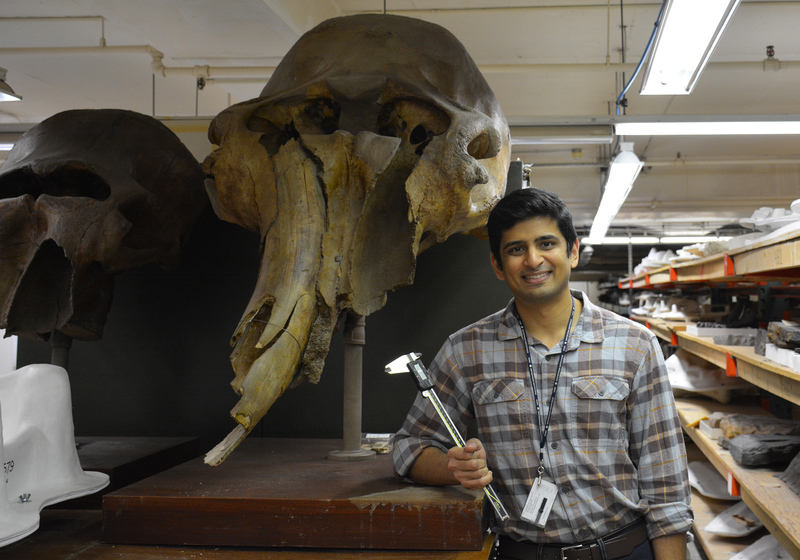 Go back in time with Paleobiologist Advait Jukar on May 17 to learn about elephants from the distant past, see real fossils, and understand how elephants evolved. 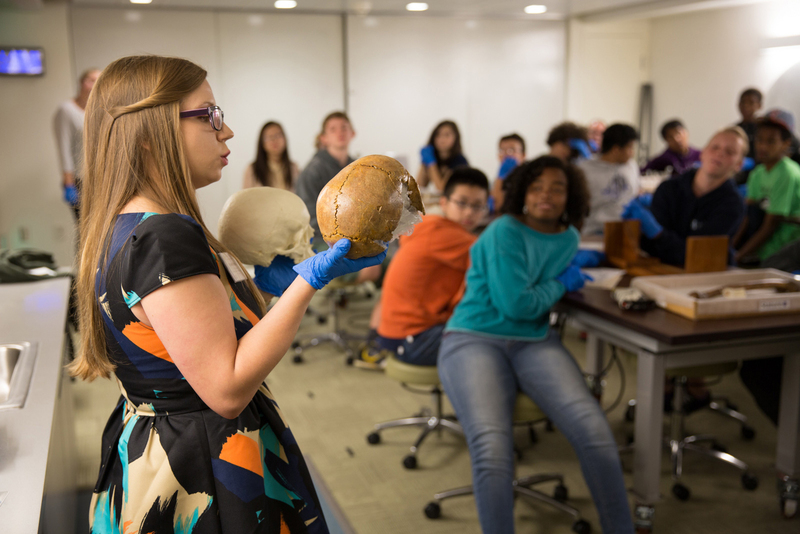 Learn about our free, onsite school programs led by museum educators for students in grades K-12. 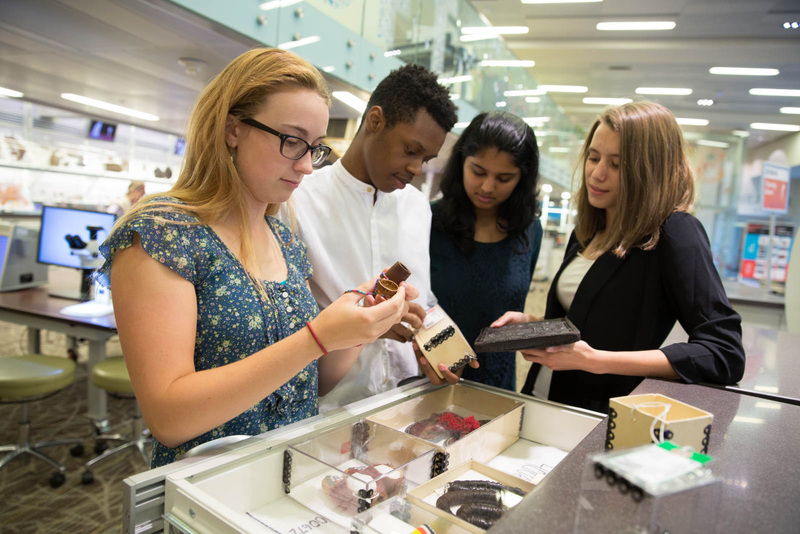 Created for teens and tweens, Q?rius is a science education center that brings the museum’s science, researchers, and collections out from behind the scenes. 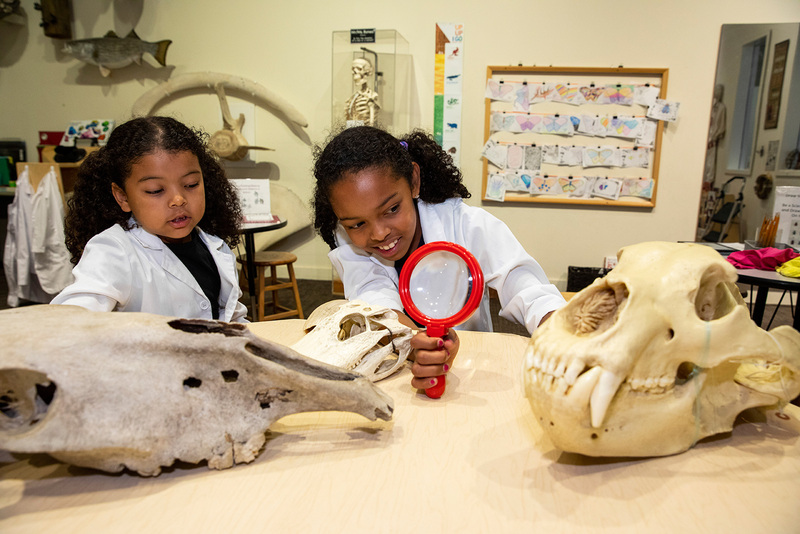 Children in grades K-5 get a chance to practice their scientific inquiry skills as they interact with items from the museum's collections.